The news that Rufus Wainwright is the father of a baby girl is interesting, made more fascinating by the fact that the surrogate mom is Leonard Cohen's daughter, Lorca. Boy, that girl is going to be expected, at the very least, to have a party piece ready to sing when she grows up and gets invited somewhere. What might she sound like? A friend posed this question on Facebook yesterday. My quickest response was Martha Wainwright's rendition of Tower of Song. Leonard Cohen's full Live in London concert can be watched at Pitchfork, but it's up for just a week, and the clock is ticking. Check it out. 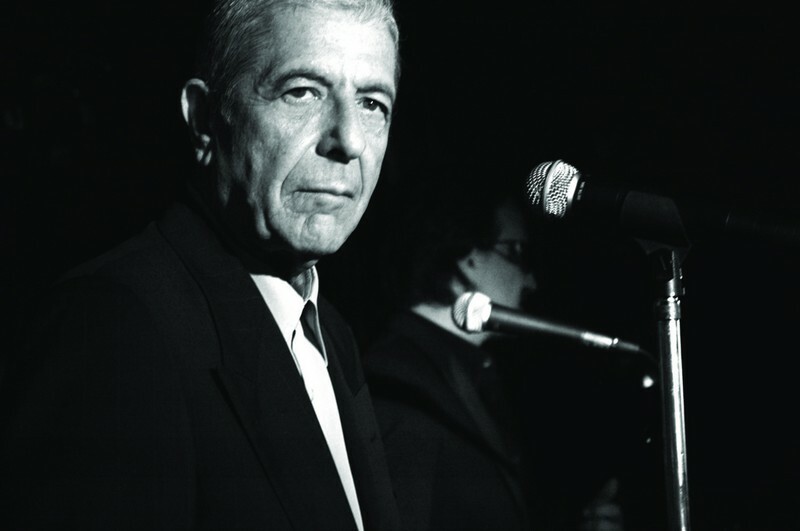 Leonard Cohen performs Who By Fire, with a monster turn by Sonny Rollins on sax. 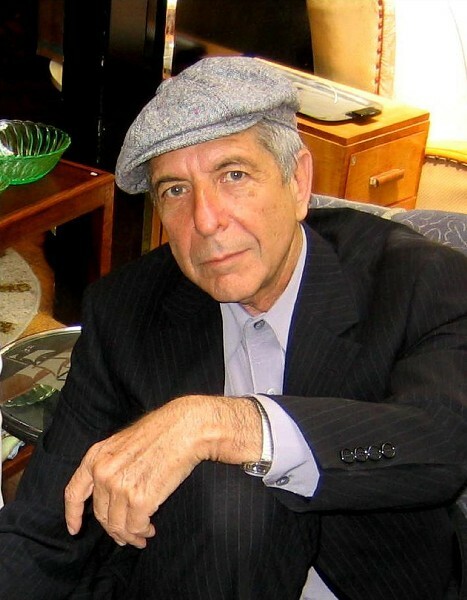 Bob Dylan and Leonard Cohen, as fate should have it, will each be in St. John's this weekend. Dylan will be celebrating his 67th birthday with a concert at Mile One on Saturday night; the next evening, Cohen opens a three-night run up the hill at the Holy Heart auditorium. We have tickets to see both, and I’m mightily looking forward to each show. This week, we start with some of the websites that follow two musical legends. As official sites of musicians go, Bob Dylan sets the gold standard – which ain’t bad, considering Dylan has been setting boundaries, and then breaking them, for more than 45 years running. Fans should consider checking in regularly (this is how I got tickets, in advance, to this weekend’s show) for inside tips and such, although the great value of the site is its complete database of Dylan lyrics. There’s plenty else to sample, including external links to an array of official videos. The news section on the Dylan site is actually pretty sparse; it, wisely, directs fans to Expecting Rain, a Norway-based fan site that is, simply, voluminous in its listings. If something is being said about Bob Dylan, somewhere, a link will likely show up here. Amazing. 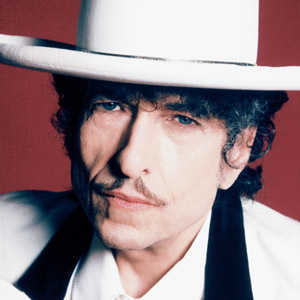 In 2006, Dylan started a new career as a DJ, as host of Theme Time Radio Hour, on the XM satellite service. You can listen here (through an online subscription), and also learn more about the show. 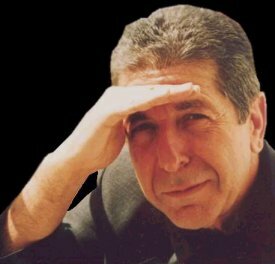 Not that many years ago, I wouldn't have expected Leonard Cohen to even have a website; he had withdrawn from society into the world of a Buddhist monk, and his recording career seemed to have wound down. 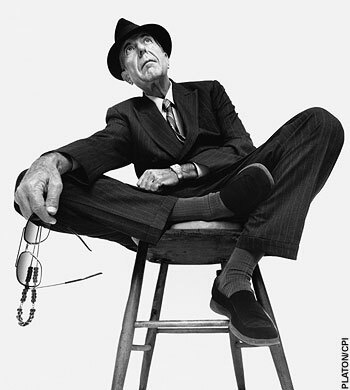 However, at 73, Cohen is in full flight: a new inductee into the Rock and Roll Hall of Fame (as weird as that still sounds), and he has just launched his first tour in 15 years. His site has been freshened up with new content, offering the basics, pushing the new product (newly remastered editions of three albums) and some videos featuring music and interviews. The forum section may draw in some fans. The look and feel of this fan site is dated, although the content is up to date. There is, indeed, a lot here to keep you occupied for quite a while. Well, fancy that: people will be going to Napster to download music they can play any time they want, as often as they like. The difference now is that they'll have to pay for it. Napster relaunched itself on Tuesday, as the now-legal gateway for music downloading. Like Amazon, but notably unlike iTunes, Napster is ditching DRM, or digital rights management, the coding that is meant to prevent illegal copying but has basically just become a nuisance to consumers. Napster's decision to drop DRM should be a signal to the labels: the strategy ain’t working. Moreover, customers are willing now to drop a little cash ($1.19 per download) to get a decent, clean copy. Readjust your business plan, folks. Fiction meets the internet, in a much more vital way than mere text might suggest, in We Tell Stories. The Penguin-sponsored site launched in March, and invited six authors (well, seven, to be precise: Nicci French is the pseudonym of a couple that lives and writes together) to compose a story using web tools, like a mashup with Google Earth. In other words, as the narrative moves, so too does the user. One of the hooks for Penguin is that the stories are all based on literary classics. John Gushue is a news writer for CBCNews.ca in St. John's. Site suggestions always welcome at surf at thetelegram.com. John is on Facebook right here. "I see a song as the ashes of existence." Older songs or older singers appear to be an unsuspecting theme in this week's playlist ... unsuspecting, in that I didn't make the connections till I looke at the five of them. Holly Cole: Waters of March. Antonio Carlos Jobim's song has been sung many ways, including in a bombastic Coke commercial from the Eighties that, fortunately, has all but rinsed out of my head. I like my Waters of March served with a light, crisp swing, but Holly Cole's brand-new, downbeat take seems to serve it well, too. Lyle Lovett & His Large Band: Up In Indiana. With an album title of It's Not Big It's Large, Lovett is pointing audiences to the band backing him up on this very good album; small wonder he opens up with an instrumental stomp, Tickle Toe. Up In Indiana is as good as anything he's done. Kelly-Ann Evans and Janet Cull: Hallelujah. Does the world need another rendition of Leonard Cohen's Hallelujah. Well, sure. Evans and Cull are well-known singers in the St. John's music world (the former has relocated to Toronto, but comes back). Their new album, People Get Ready, produced by themselves, takes some familiar songs and rethreads them accordingly. It's nice. 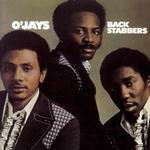 The O'Jays: Back Stabbers. One of the definitive Philadelphia International singles, with a Seventies sound that is definitely of the period but doesn't weigh it down in glitter, suede and flared jeans. And it actually had something to say. Paul McCartney: Ever Present Past. McCartney could be forgiven for coasting on royalties, but he's making interesting records. Memory Almost Full offers this tune, which opens with a ringing guitar you don't expect from Mr. Ebony and Ivory, even though it rides on a melody that fits his catalogue. Click below to see previous lists filed to this queue. "I got this rap as a kind of a ladies' man. And as I say in one of the poems, it has caused me to laugh, when I think of all the lonely nights." A poem has a certain -- a different time. For instance, a poem is a very private experience, and it doesn't have a driving tempo. In other words, you know, you can go back and forward; you can come back; you can linger. You know, it's a completely different time reference. Whereas a song, you know, you've got a tempo. You know, you've got something that is moving swiftly. You can't stop it, you know? And it's designed to move swiftly from, you know, mouth to mouth, heart to heart, where a poem really speaks to something that has no time and that is -- it's a completely different perception. More here, including a transcript and a download.